If your kids are like mine, then they like hands on projects with coloring, cutting, glueing and accessories. This project provides them will all of those and it is also just too cute! 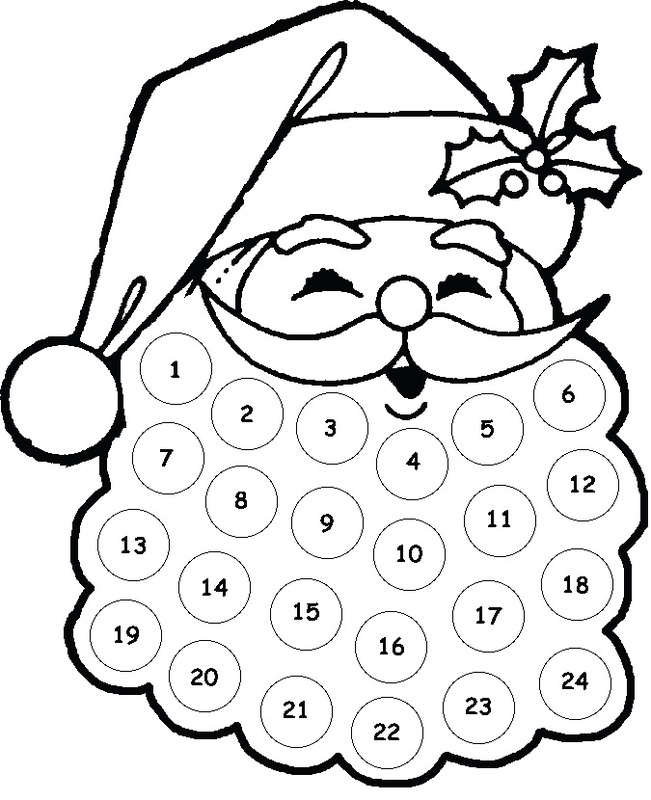 It’s pretty easy to make this Santa Advent Calendar, but its fun for the kids and gives them a sense of accomplishment since they can do it all by themselves. Color the picture. This is a great Glitter craft! Glue cotton balls on to each day that goes by, counting down to the 24 when Santa will come! (we just used elmers glue and grabbed a bag of cotton balls from dollar tree). Another fun thing you could do is put Hershey kisses on it and let them take one out every day, or put other candy on it. We have been using this advent calendar for years. My 8 year old daughter still asks for it every December 1st. Thank you!!! Found it 🙂 What a great idea for teachers that Heather posted above!! Is This Where I leave a comment for the contest?! Found it! Heather McKenzie Carter on FB. Another great idea is for teachers to use this to track books read in December! My daughter’s class is doing that this month!